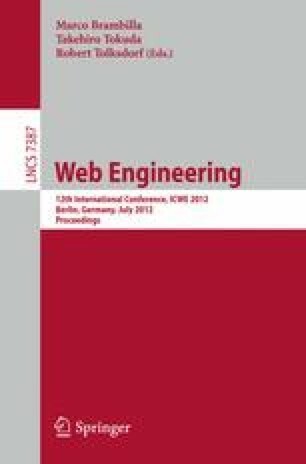 We present an approach for the lightweight development of web information systems based on the idea of involving crowds in the underlying engineering and design processes. Our approach is designed to support developers as well as non-technical end-users in composing data-driven web interfaces in a plug-n-play manner. To enable this, we introduce the notion of crowdsourced web site components whose design can gradually evolve as they get associated with more data and functionality contributed by the crowd. Hence, required components must not necessarily pre-exist or be developed by the application designer alone, but can also be created on-demand by publishing an open call to the crowd that may in response provide multiple alternative solutions. The potential of the approach is illustrated based on two initial experiments.